Recently, the latest RSTAB version was installed on my computer. Why have there been an information message when calculating hybrid wood composite sections since then? 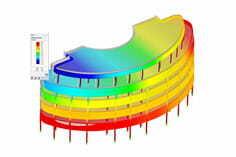 The determination of the cross-section characteristics and the design are carried out with the so-called "γ-method". This takes into account only the flexibility of the connecting means and not the shear deformation of the partial rods. It is therefore only for components in which the shear deformations of the individual rods are negligible. 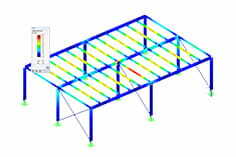 With a click on OK the shear deformations are not considered and a calculation is possible.